To me, Richard Wright was the George Harrison of Pink Floyd – a very underestimated part of the band’s success whose contributions were unjustly overshadowed in many ways by those of the two leading figures in the band. Yet, his work was a significant part of the Pink Floyd-magic, and they would not in a million years have become what they did without him. With Rick Wright’s passing this Monday, the final chapter of the story of one of rock’s most successful acts can be closed. A founding member of Pink Floyd, Wright’s influence became apparent from 1968 onwards after Syd Barrett’s mythologised mental breakdown and subsequent departure from the band. He was an important part of the transformation that would lead the Floyd away from the psychedelic pop of their early days towards their massive success in the 1970s as the creators of several milestones in the history of modern music. Wright was first and foremost a major component of the Pink Floyd sound. Although he did contribute with songs, few of them achieved enduring status – that is of course, with the exception of “The Great Gig in The Sky”, which ironically is one of the band’s finest achievements, as well as one of rock’s most memorable moments. And that being said, he was also co-composer of the majority of their important work up until the mid-70s. There can be little doubt that Wright’s keen interest in jazz and avant-garde music, and the fact that he was the only member of the group with any formal musical training, enriched the spectrum of the Floyd sound and significantly helped separating the band from many of the other prog-rock acts of the day and put them in a league all of their own. One need only listen to the live disc on 1969’s double album, Ummagumma, to hear exactly how much Wright’s work formed a part of the band’s live sound. The droning, ethereal keyboards on “Careful With That Axe Eugene” lend an eerie feel to a tune that can otherwise best be described as a standard psychedelic space jam with echo effects, screaming and all. Likewise, “Set The Controls For The Heart of The Sun” derives most of its texture, finesse and detail from the subtleties provided by a keyboard that carries the tune all the way through its nine or so minutes. Granted that Wright’s contributions were never of the kind that Roger Waters’ sense of writing a good song or David Gilmour’s spectacular guitar solos were, the devil is nonetheless in the details as seen in a documentary about the making of their crowning moment Dark Side of The Moon (1973). In one sequence, Wright demonstrates how he pilfered a particular chord from Miles Davis’ album Kind of Blue and included it in the chorus of the song “Breathe,” and it is exactly these tiny details that really shed light on his role in the band as the provider of nuance and tension that combine with the rest of the band’s contributions and make the sum greater than its parts. His work on the Syd Barrett tribute “Shine on You Crazy Diamond” from 1975’s Wish You Were Here makes this evident beyond question. From beginning to end, the song demonstrates how Wright’s sense of moods and ability to complement his colleagues provide the perfect foundation for Waters’ lyrics and Gilmour’s guitars and how he as such played an instrumental part in achieving the sheer emotional appeal that was the true strength of the band at the height of its creative powers. Perhaps the best indicator of Wright’s influence on Pink Floyd lies with the change in the band’s sound that emerged in the late 70s. With Roger Waters increasingly taking artistic control, Wright’s influence waned until he was finally ousted from the band altogether, but then again, the Floyd was by then past their creative zenith, at least as a group, and their work around 1980 is better characterised as solo work by Waters with David Gilmour providing musical direction and advice. Of course, the Gilmour-version of Pink Floyd in the 80s would fare little better in terms of recreating Pink Floyd as a creative entity. Even though Wright rejoined and contributed to The Division Bell (1994), actually resulting in an album that had more of the classic Floydian feel than its somewhat cold and at times bland predecessor A Momentary Lapse of Reason (1987), it was clear that Pink Floyd had their best work behind them. The tours and court battles that followed the albums in the late 80s and 90s seemed more like a result of David Gilmour and Roger Waters battling over the rights to the legacy and myth of Pink Floyd than genuine attempts to reach the heights of their 1970s triumphs – although the stage shows certainly never ceased to impress. This might just be where we finally come to shed some light on the person behind the keyboards. Rick Wright’s comments in the booklet for The Wall – Live (2000) give the impression of him being quite disenchanted with the direction the band was taking in the late 70s and hint at his dislike of playing concerts of the magnitude that the band were by now doing – quite ironic considering that they topped them on a mammoth scale in the 80s and 90s. Still, the comments hint of a musician who feels most at home with the creative process being a group effort and who is, above all, deeply concerned with the music. 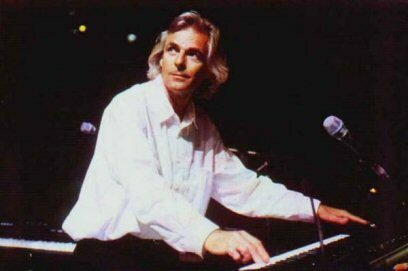 Perhaps this is really the true legacy of Rick Wright – that he was a musician much more than a rock star, that he saw music as a combined effort of the performers, and, by all accounts, that he was perfectly happy with his anonymity. One wonders whether he, sitting at his seat behind the keyboards at the great gig in the sky, does not smile at the thought that his death definitively puts an end to any mythomaniac speculations about a future Pink Floyd reunion. In loving memory, Richard will be missed… Since his beginning in 1965 forming Pink FLoyd, he has provided such a gift to all of us musically. I can look back over 30 years ago listening to Floyd, over and over again. Albums such as “Piper At The Gates Of Dawn”, “UmmaGumma”, “Meddle”, “Wish You Were Here”, “animals”, Dark Side Of The Moon” and later “Division Bells” were very important works. The world will miss Richard and Syd. We love them and the rest of Floyd. I think many would agree that we were lucky enough to be alive to experience such incredible and historical music. I really liked rick wright. He always seemed like the quiet one. I enjoyed some of his solo work too. He will be missed and the Pink Floyd fan that I am I worry that the rest of the fellow Pink Floyd members wont be around too much longer either.